At Amazon and Goodreads, you can read the first 10% of a book for free and I think the other book sites have something similar. Before my historical novel A Weaver’s Web became an ebook, I posted a large number of excerpts to writing site Helium. If you go to https://app.heliumnetwork.com/heliumnetwork/viewPublicUserBio.sc?userNumber=386640 and scroll down, you will see the excerpts. I have also posted a number of excerpts at Bubblews: http://www.bubblews.com/account/53470-chrispy. Some excellent reviews on my historical novel, A Weaver’s Web, appear at Goodreads (https://www.goodreads.com/book/show/19480963-a-weaver-s-web) and Amazon (http://www.amazon.com/dp/B00H52SEEK). Before the novel was published as an ebook, I received a number of other comments on it by UK literary agents, a professional appraiser, general readers, and people at a US writing site. – Thank you for sending us sample chapters [1 and 2] from your novel, A Weaver’s Web. They were very enjoyable and it was almost like a Mancunian Grapes of Wrath, but with the poor family finding its wealth. The location of Manchester during the industrial revolution dictates the action excellently and I can see why readers could not put it down. However, I feel we can not represent you at this time. Although we enjoyed reading your work, it would not fit well within our list at the moment. I hope you understand. – You write well and your grasp of detail is impressive. – I enjoyed reading the chapters you sent from your novel. I like the Manchester setting and it was a fascinating time in history. You have a very readable writing style. – We found much to admire in your manuscript. – You recreate the times well. I received several other comments similar to those above, such as “write well” and “enjoyed your writing”. There were a few who offered other feedback, such as “too much dialogue”, dialogue that is “too 21st century” and “lack of a protagonist and story”. That’s fine. As many agents said, novel writing is very subjective. – [It] is a highly readable, fluidly written manuscript (ms). The ms’s strengths lie in three areas. Firstly, the author’s ability to construct a good sentence, which enables the reader’s eye to flow over the page easily; secondly, the realistic dialogue; and, thirdly, the story’s detailed and believable sense of place. – “Novel” would appeal to the U.K. market in particular, as it deals specifically with English history and place settings. However, the U.S. and Australian markets would not be averse to acquiring a ms with such a setting. – The ms’s main readership would be men and women aged 35 years and over who enjoy historical sagas [in the UK, the US and Australia]. – You have a lovely, easy-to-read writing style … and this is especially so in the case of your dialogue. – Overall, “Novel” is a highly enjoyable, entertaining and well-written read. You have provided the reader with strong characters with fully realised backgrounds and a great sense of place. – Flows really well; loved the characters; got really close to them; could picture them; read it in one day. – We both really enjoyed it; wanted to see what happened to them all; got a lot out of it. – It’s just the sort of book I like. – Easy to read; appreciate detailed research; read in two days; you must have really lived the characters; enjoyed reading it; very interesting book; amazed by the amount of work you have put into it. – This is the equal best book I’ve read [with The House of a Thousand Lanterns by Victoria Holt]; so many exciting moments and surprises; page after page of enjoyable reading; excellent reading and very well written; you write as though you lived in the times; love it; brilliant; I was laughing; couldn’t wait to see what happened next; I felt emotional reading parts of it; if you can’t get this published, there is something very wrong with the publishing industry; I really felt great emotion for Sarah; I love this book; I could easily have read another 19 chapters; would make a wonderful movie or miniseries. – Just my cup of tea; research is meticulous; you have written a gripping yarn. – Enjoyed reading it; easy to read; read in one day; lots of good characters. – It should be in everyone’s home. – Very good; would make a great TV series or movie. – I was able to get right into the book and found it hard to put down. – Very interesting; should be a sequel. – Thoroughly enjoyed reading A Weaver’s Web. – Really enjoying your novel; want to get back to it to see what happens. – I finished both your books in a few days, and they were great. I can’t understand how you could have trouble finding a publisher for A Weaver’s Web – they should be jumping at it. 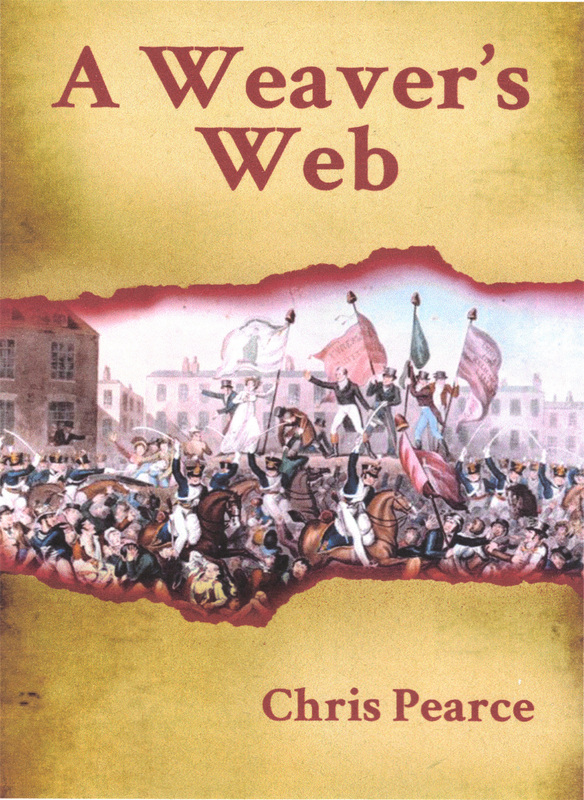 [and a bit later] Hope you find a publisher for A Weaver’s Web – I’ve lent it to a few people and they all love it. [I don’t know any of these people.] In fact I’ve just thought of someone else I know who would like to read it – think of all the royalties you’re missing out on! – I just read your novel excerpt – LIFE – You sucked me in on it and I thank you for it. I’ve had a rough day and for a few moments I was in another time with your story. It was very good. Is there more? I noticed that many of your writings are number one, are you a professional writer? … I think your exce[r]pt was great and I truly enjoyed it. THANK YOU! – Your story filed in Romance is very well crafted and intriguing. – Great. [on the “Purpose” excerpt]. – Very good, quite impressive [on the “Cruelty” excerpt]. Between the mid 1990s and early 2000s, I researched and wrote a historical novel part-time about a poor handloom weaver and his family in Manchester, UK, in the early 19th century. They eventually became quite rich and this led to a whole new set of problems for them. My inspiration came from a postgraduate creative writing course I topped from 30 students. I went through about a dozen drafts, rewriting, revising, editing and polishing. My goal was to produce a high quality product that readers would enjoy. Finally, I was happy with it and sent it to a professional reader, Alison Rushby, to get an appraisal that I could use in my approaches to literary agents and publishers. I still didn’t have a title for it. Based on her comments, I made many more changes to the novel, going right through it another two or three times. During this time, I came up with A Weaver’s Web as the title. Next, I got a local printer here in Brisbane to run off a couple of boxes of the novel in book form to give to friends and relatives. As it turned out, I received some excellent feedback from various folk, including old friends of my wife, a work colleague’s mother, friends of friends, and so on. Five people out of 18 who commented said they couldn’t put the book down. I thought, right, I’ve got a highly polished novel, a favourable professional appraisal, general readers who couldn’t put it down, and top mark in a postgrad course. What more could I need. Getting this thing published will be easy, I thought. I sent it to a large literary agent in London. To my surprise, they didn’t take it. I sent it to another one. Sorry, it doesn’t suit our list. And another one. We’re not passionate enough about it. And so on and so on. I daren’t count the number of literary agents who knocked it back over best part of a decade. I’ve got all the letters and emails, so I could work it out one day. It must have been at least 150, including a couple of dozen in the US, and a dozen or so in Australia, which is about all there are in this country, as well as a few publishers. I did get some favourable comments from a number of agents and included these in further submissions. During this time, I remained optimistic, and submitted excerpts to a US writing site where members rated them against other excerpts under various topics. I had the number one excerpt of about 70 under historical fiction, one of 160 odd under Suspense, 1 of 140 under Life, and others at or near top. I added these rankings to my submissions to agents, hoping that these would perhaps be the clincher. But the responses were the same. Literary agents and publishers take on few new authors and books. You can’t blame them. The market is saturated with so many excellent books, and established authors and other well known people who write a book are more likely to get good sales. And now there are 80,000 new ebooks coming onto the world market each month as the industry continues its transition from print to digital. By now I was asking myself whether I wanted to pursue with traditional publication or think about an ebook. There are many pros and cons of each and I think I would still advise people to try the conventional path first and perhaps try about 20 or so agents. The turning point for me came when a UK literary agent compared A Weaver’s Web to John Steinbeck’s The Grapes of Wrath, which appears in several lists of top 10 novels of the 20th century, but still couldn’t take it. Even so, I did send it to several more agents, and included reference to this comparison. Finally, I got Australian eBook Publisher to put everything together, including a cover, and the book is now on Amazon and several other sites. It has a star average of 4.7 at Amazon and 4.8 at Goodreads, which is right up there. Reviewers have compared my writing to Steinbeck, F. Scott Fitzgerald, John Dos Passos and Charles Dickens. One reviewer has it as their book of the year. I’m really glad that people like the novel.